Vietnam is likely to be at relatively high risk of earthquakes although the country is situated outside world quake centers, scientists warned at a conference in Hanoi Monday. The warning was made during an international workshop on earthquake and tsunami hazards and early warning systems in Asia-Pacific, in Hanoi on Sept. 5-6, hosted by the Institute of Geophysics, which is under the Vietnam Institute of Science and Technology. 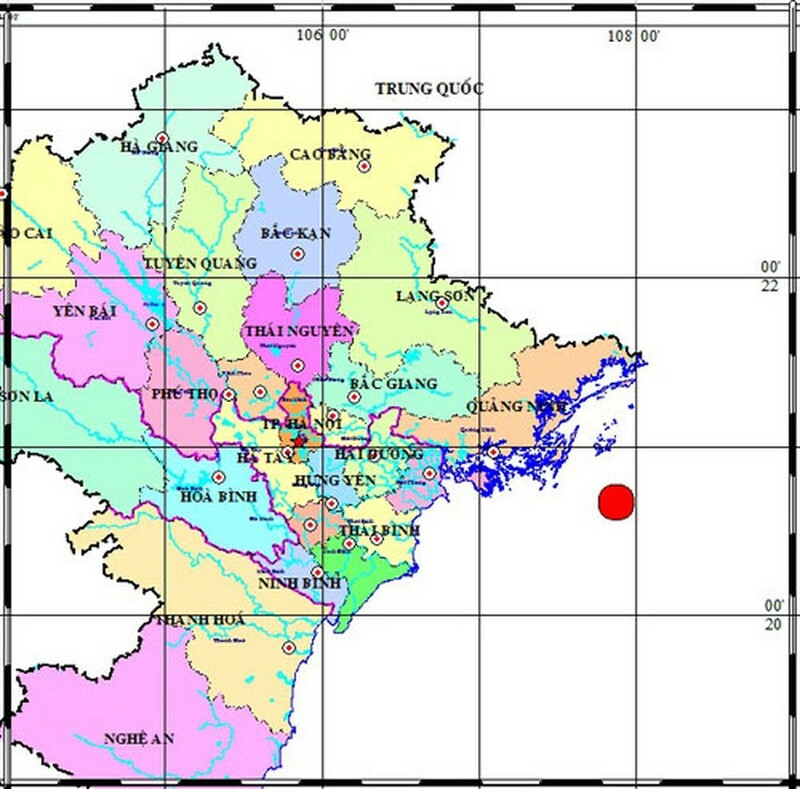 A Vietnam Institute of Geophysics picture shows the position (in red) of an earthquake measuring at 3.3 on the Richter scale on the September 5, 2011 afternoon. The position is 90 km off Halong City. At the conference, both domestic and international experts shared their experiences based on developing measures related to timely warning systems for the purposes of minimizing damage and losses. 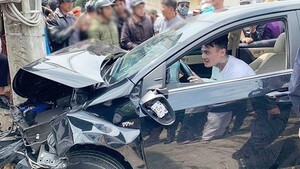 Vietnam was recorded to be exposed to earthquakes with relatively high intensity measuring at 6.7-6.8 on the Richter scale on several-hundred-km fault zones such as the Hong River, Chay River, Son La, Ma River and the 109 fault zone. A number of major urban centres were located on these zones, which meant a likelihood of strong future earthquakes. Hanoi, for example, was predicted to be susceptible to magnitude 8 quakes. Scientists from the Vietnam Institute of Geophysics said the country’s central coast was the most vulnerable area in the country for a tsunami resulting from earthquakes at the Manila trench. From there, a tsunami would take about two hours to reach the Vietnam coast. Participants discussed issues relating to the possibility of earthquake and tsunami in Vietnam and frequent earthquake areas like Japan, Indonesia and New Zealand. At the event, foreign scientists introduced early warning solutions for the Asia-Pacific region, including an earthquake and tsunami impact mitigation project in Vietnam, and tsunami scenarios on the East Sea.